Our old house in Ohio had a neighborhood pool down the street. While we didn’t spend as much time there as my kids hoped, we did try to make it down to the pool once a week in the summer. I realized something though. As my kid would scarf down PB&J sammies with a can of pringles and a capri-sun….all the other families were eating pasta salads. It didn’t occur to me that this was a thing. I barely had time to make a sandwich while heading out the door…make up a pasta salad beforehand? Oh hardly. Guys. I’m dumb. I would drool over those pasta salads. Seriously. And, did you know it’s pretty easy to make a pasta salad. And did you know they taste even better if made ahead of time. I’m kicking myself for not doing this every summer. This past year my swimmer, Alyssa, has been making herself a weekly pasta salad. Pretty much a box a pasta, whatever fresh veggies we have in the fridge (cucumbers, tomatoes, peppers, broccoli) and then she dumps italian dressing all over it. She eats this every day before practice until it’s gone. Then makes a new one on Sunday nights. WHY didn’t I think to do this? Instead of being envious of those over achieving moms and their delicious salads…why didn’t I think that maybe they made them in advance. Like any smart person would do!?! Well, now I’ve got a delicious, easy pasta salad for any pool day, potluck or summer lunch! The homemade dressing sends this one over the top. And the shrimp? Well, it’s a perfect addition to complete this dish and make it a meal! Dice veggies and add to pasta in a large bowl. Top with italian dressing, parmesan cheese and shrimp. Enjoy. 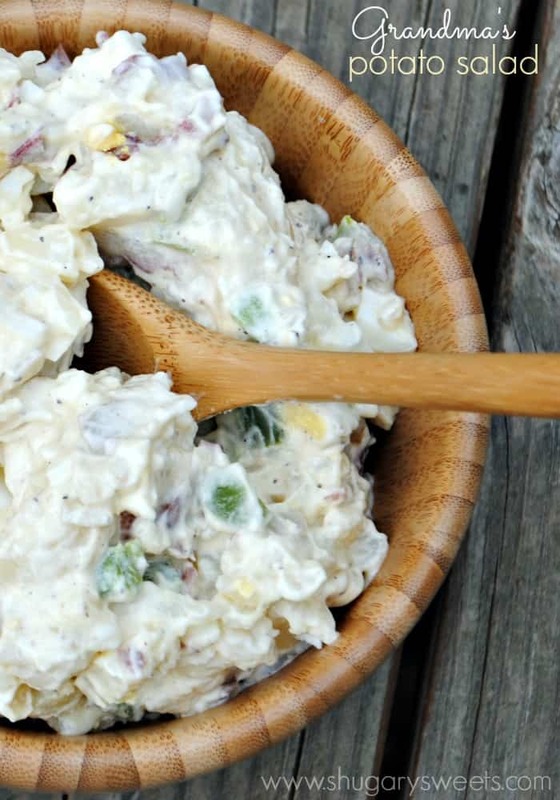 Grandma’s Potato Salad recipe is perfect to bring to your next bbq! 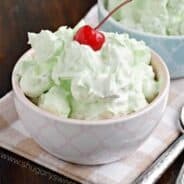 Pistachio Fluff Salad: don’t forget the sweet “green” salad!! What?! It’s that easy?! I must have been fooled too! 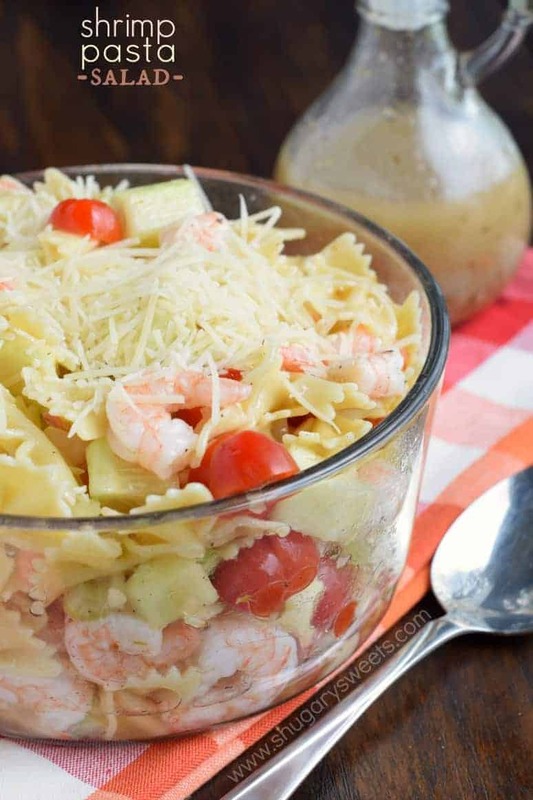 How on the earth have I never thought to put shrimp in pasta salad? That is like my two favorite loves ever! And that dressing? I sort of want to bathe in it! Pinned! I’m adding shrimp to my grocery list right now! Looks delicious. Don’t worry your not the only one that would make PB and J’s with Pringles. Yum chips inside of PB & J’s are the best ever! I love pasta salads so much more now that I know how to cook. 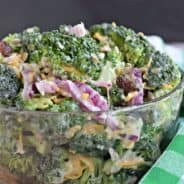 This looks amazing and homemade dressing. Ahhh get out! Love this!! Pinned!! I love pasta salads so I know this one is going to be awesome! 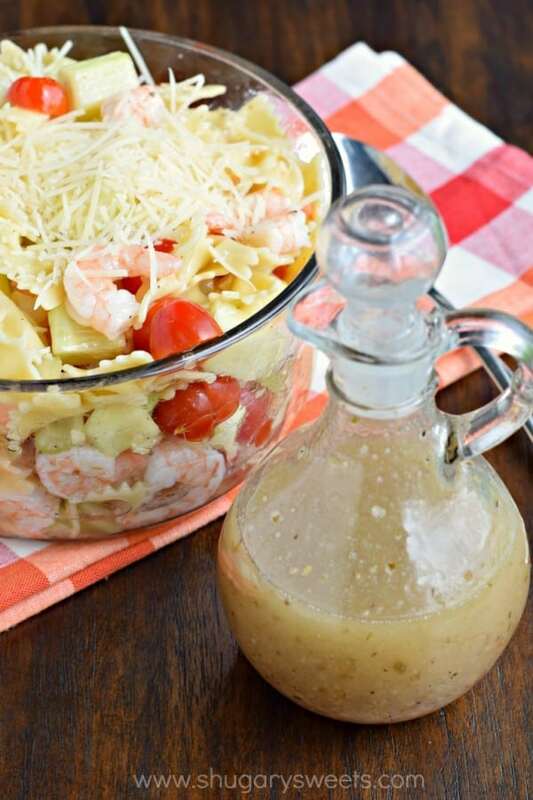 Love the shrimp AND homemade dressing – awesome! 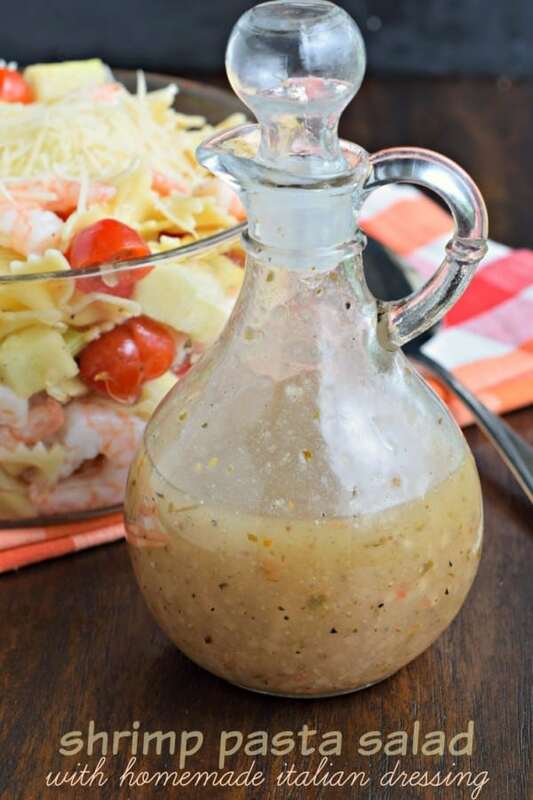 I keep telling myself that I need to find a good homemade Italian dressing recipe to try. I think I just found a good one and a good shrimp salad recipe to try, too! 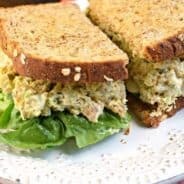 I love simple recipes like this! Why don’t I make more pasta salad with just…salad dressing? Somehow that wasn’t intuitive enough for me, lol!! Looks great Aimee! 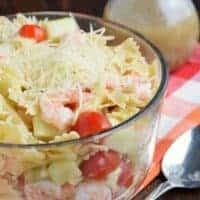 I have often used imitation crab in pasta salad, the shrimp is a great way to make pedestrian pasta salad more highbrow. 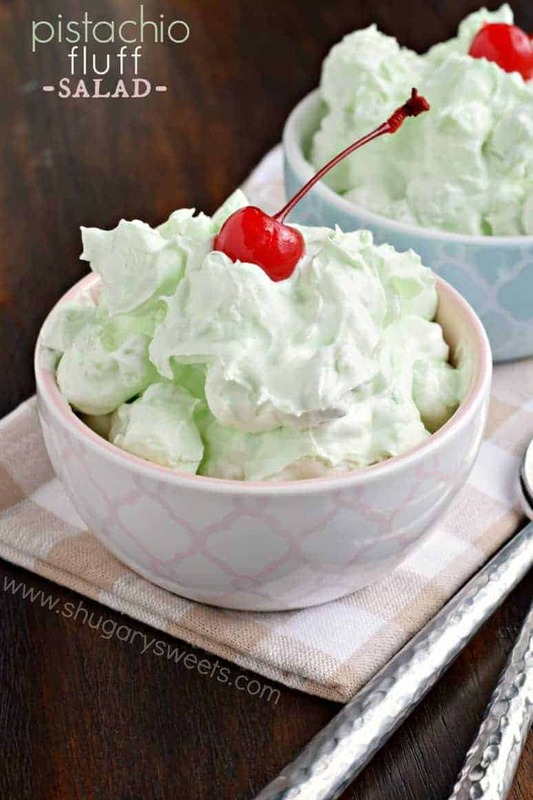 Looks easy and absolutely delicious! 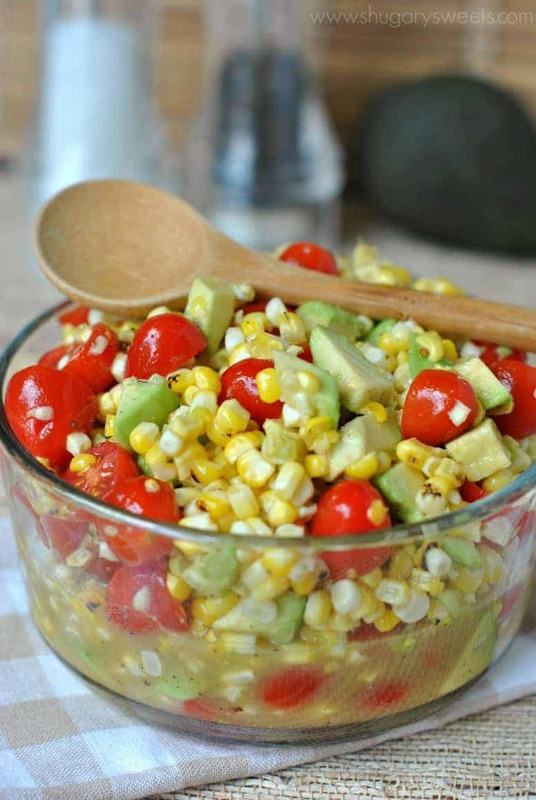 The perfect summertime side dish for any meal! I have to try this, it looks so yummy! Pasta salads are my favorite go-to dish to bring to summer barbecues! They’re so tasty and refreshing with all those veggies compared to the usual burgers and hot dogs. This shrimp one looks delicious! Great little recipe. Top marks. Thanks for sharing this.